This week marks the one-year anniversary of the QASH ICO. What a journey it has been. Quoine has grown tremendously over the last year and while much has changed across the cryptocurrency landscape, in reality the intrinsic value and disruptive technology are just as strong as ever. Crypto is going through a hype curve, common with any new emerging industry, and we are at the forefront of driving change from within. I would like to take this opportunity to personally reflect on the last year and to take a glimpse into what the future holds for Liquid, QASH and Quoine. 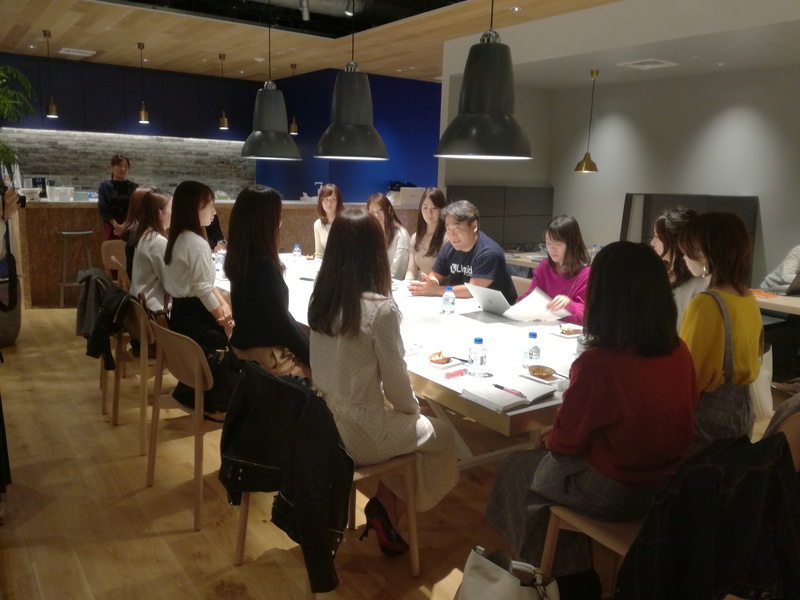 The QASH ICO was in November 2017, but preparations started long before that. The team worked tirelessly to make it happen. Even today, I am still overwhelmed by the outstanding success of the QASH ICO, which went beyond our wildest dreams. We raised more than USD105 million to build Liquid and provide a place for QASH to run free. Our supporters and investors who believed in our vision put their faith and money in us. While the road has been rocky, we are well on course to make those people proud and to deliver a cryptocurrency platform that will exceed expectations. To everyone who has supported us on this journey, I am extremely grateful and thank you from the bottom of my heart. I know that at times this past year we haven’t been able to provide you with the kind of news or updates that you would have liked to read, but I do see your feedback and comments and I do understand your concerns. Even at times when it looks like we are staying quiet and not much is happening, there are 300 people working feverishly to make Liquid the platform we have always envisioned. We have lofty goals and I’m sure at times it can appear as if we’re aiming too high, but with Liquid, we are not simply building just another crypto exchange. Some of you I know have become impatient for more results and successes, but I would ask you to recall the excitement that surrounded our ICO last November. That energy still drives all of us at Liquid to wake up each day and come to work and make this happen. We are every bit as committed to this now as we were 12 months ago. When I talk to our staff, I still see the fire in their eyes. But we knew it wasn’t going to be easy. We’ve diverged from the original QASH roadmap. That much is clear. Regulatory constraints have impacted our progression. As a global fintech company treading new waters in the cryptocurrency space, it is our duty to work closely with regulators to ensure that we are compliant. This sounds like a simple task, but it affects almost every element of our work and constantly demands our attention. Growth of this space will depend on companies like ours working with regulators to show the true value of cryptocurrency and it’s future potential. To achieve the growth for crypto that we all strive for requires us to follow certain rules and processes while pushing the boundaries. This combination of factors, as well as the monumental task of merging two exchanges (Qryptos and Quoinex) in order to launch a new one (Liquid) means that we’ve had our work cut out. Just getting Liquid live with the World Book operational on select pairs was a huge task, but that was really only the beginning. We are now in a constant state of making improvements to the platform, some of which are easy to spot, others more behind the scenes and impacting overall performance. I’m proud of what we have achieved over the last year, and I am very much looking forward to showing you what is coming in the next 12 months. Our most recent announcements were the listings of two stablecoins, GUSD and USDC. Liquid will tap into Gemini’s liquidity for the External World Book. This is one thing I am particularly happy to have finally been able to share with the community, but it’s really just a taste of what’s to come. The relationships we are building are still largely behind closed doors, wrapped up in MOUs and lengthy discussions. One of the reasons I’ve been travelling these past few months is so I can meet with leaders from other regulated crypto companies who want to contribute to our vision of democratizing finance. We know you want to hear more about our partnerships, but now we are getting to the crunch and it’s important that any announcements we make are backed by concrete actions for collaboration. The World Book is an incredible piece of technology and I know it is the reason many of you invested in the QASH ICO. The External World Book will be a new chapter for Liquid as we open the gates to let liquidity truly flow. Adding stablecoins is something we have considered for a while. Stablecoins are highly liquid, asset-backed trading pairs that will help drive mainstream adoption of cryptocurrencies. With the emergence of regulated stablecoins, it became clear that these would fit perfectly on our exchange. Maintaining compliance is important, both for us and our customers. I am very happy to have on-boarded these two stablecoins, not least of all because the scope of working with Gemini and Circle goes beyond simply listing their tokens. We pick our partners wisely. There is demand for stablecoins globally, but Japanese customers, who make up a substantial portion of our customer base, often cannot reap the benefits. 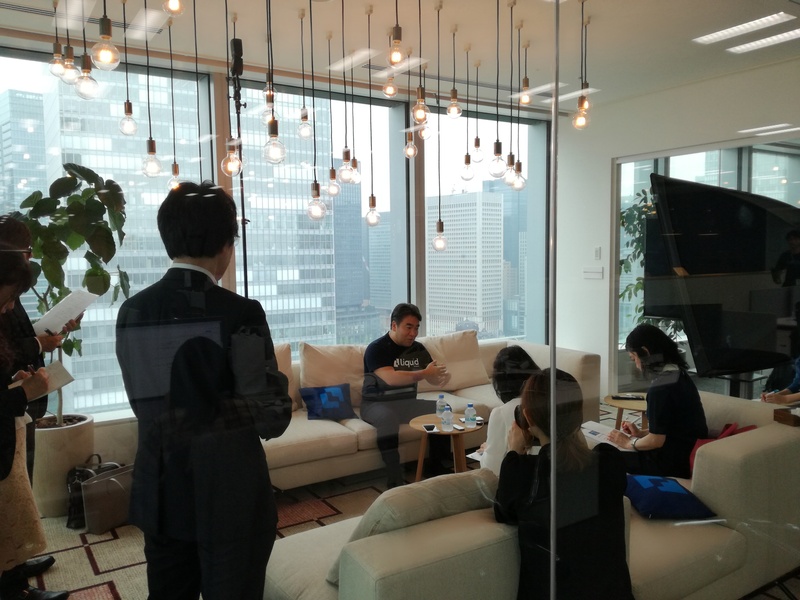 We are now exploring the opportunity to develop a JPY-pegged stable coin that would be completely compliant, further solidifying the Liquid brand in Japan. But beyond Japan, we continue to work to give Liquid users the flexibility to trade on their terms. Just this week, we introduced the first fiat pair for popular mobile cryptocurrency Electroneum, ETN/EUR. Fiat pairs significantly increase the accessibility of a cryptocurrency, so it is always our pleasure to further increase the reach of crypto. The demand for QASH will always come from the utility of the token. Utility drives demand. QASH utility began with the launch of Liquid, but we’ve really only skimmed the surface of how QASH will open up the Liquid platform, even before the launch of the Liquid Distributed Ledger (LDL). We have introduced the option to use QASH to pay for your fees, in return for a 50% fee discount. I have personally heard the feedback about the lack of fees on Liquid, as have all of our CxOs. We are going to add fees across Liquid, which should help start to give QASH the utility it deserves. We’ve had airdrops for QASH holders and there will be more in the future. We also very much look forward to adding a discount for traders who use QASH to pay for ICOs. Along with other utility that will be introduced in the coming months, the benefits of holding QASH are only going to grow. 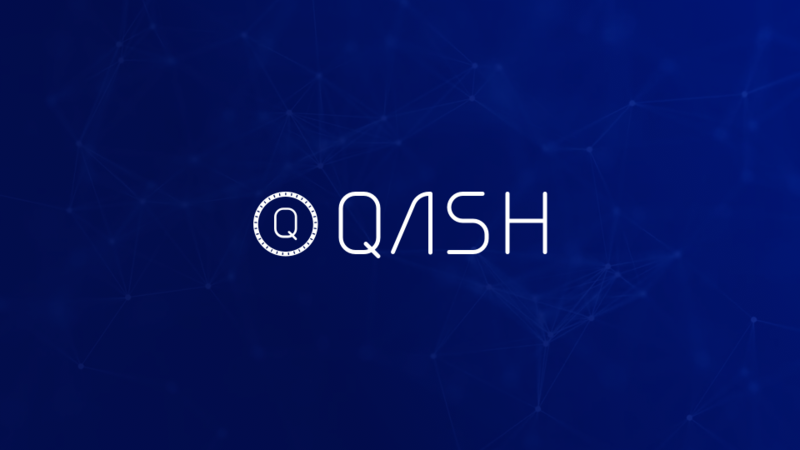 Over the coming year, we will be increasing the utility of the QASH token so that QASH will reach its full potential. Remember also that QASH will be rebranded to the Liquid Token in the future as it becomes the native token on the LDL, bringing forth a new wave of utility. At that point, we will be changing the game like never before. As for the LDL that you’ve been eagerly waiting to hear more about, it is going to be a big part of the future of Liquid. Our CTO Ray Hennessey would like to address the community himself regarding the LDL development and I look forward to being able to share it with you. I would like to give a personal message to QASH holders around the world. On behalf of myself the the rest of the Liquid staff, we would like to thank you for believing in the Liquid vision. I sympathise that is has been a hard year, not just for us, but throughout the entire crypto market. But I want to emphasise that cryptocurrency markets work in cycles, so while we’ve largely retraced from the highs of December to a more grounded level, my belief in crypto is unwavering. I have followed cryptocurrency since the Satoshi whitepaper 10 years ago and firmly believe we are now more than ever pushing towards the forefront of global adoption. For our part, we want QASH to flourish and take its rightful place among the crypto greats. For this to happen, Liquid needs to be best cryptocurrency exchange it possibly can. Every new feature or improvement that we add brings in new customers, whether it’s USD funding for ICOs or a new trading pair on margin. The more users we have, the more useful QASH will be. We aren’t ignoring QASH -- quite the opposite -- but rather, we are building the backbone for token. You can help us spread the word now. I would like to welcome you all to take part in the QASH referral program on Liquid. Encourage your friends to join Liquid and earn QASH in sharing our platform. This current mechanism will lead on to an even more exciting referral campaign that will tie in with our trading fees. If you refer your friends now using the current referral campaign, they will still count towards the new campaign, so get sharing! What’s in store for Liquid? The future of Liquid is bright. Providing financial services to the unbanked and secondary markets is one of our core values. We already offer fiat funding options, but the next step for financial inclusion is to drastically improve the onboarding process. I know that a number of users want to simply input their details and buy straight from their credit card, rather than conduct a bank transfer. I am very much looking forward to the introduction of card deposits on Liquid hopefully before the end of the year. In the same vein, I know that exchanges can be confusing for first-time buyers. I believe it should not be necessary to understand how to use exchanges to join the cryptocurrency movement. Therefore, Liquid will implement a feature that makes it much simpler to buy cryptocurrency with no trading experience. Features like these are coming along with faster withdrawals, the listing of popular top 100 tokens and the kind of liquidity that traders crave. Crypto exchanges are only useful for the services they offer and for us to be the best, we must keep building. Once again I would like to thank you, the QASH and Liquid community, for staying with us over the last year. We are working extremely hard to make your proud and I know that you will appreciate what we have coming. You will be hearing from our other CxOs before too long, but as for me, I will now be providing monthly updates to the community. My first one will be at the end of November and this should give me a chance to put together a more substantial and useful update than is possible on a weekly basis. I wish you all the best and enjoy the rest of November. Christmas is coming!